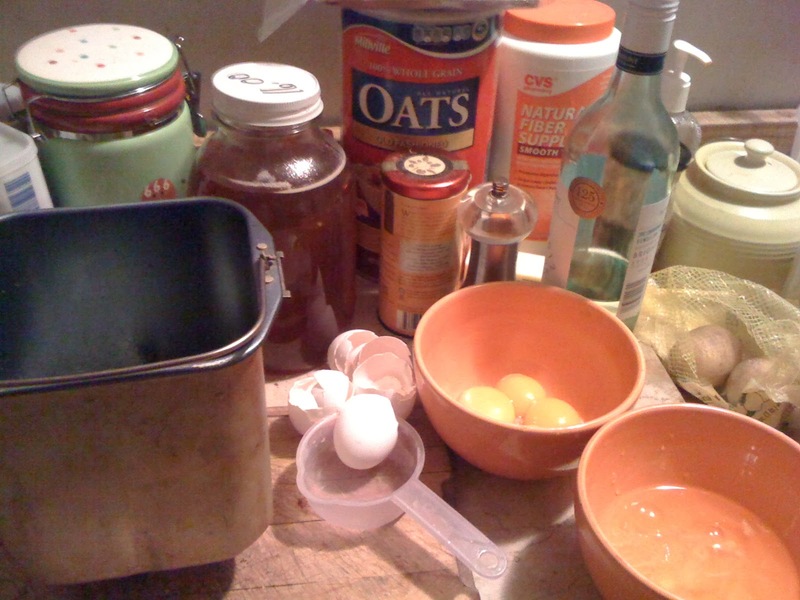 I decided to take a deep breath and go through with it and so today I am baking the King Cake for Epiphany. What a trip! Specifically, what a trip to Wegmans! I had to go to Wegmans to get purple and gold sugar. Luckily I already had green sugar from Aldi. Good thing, too, because there was no green sugar at Wegmans, go figure. The store was a total zoo. Only an intrepid King Cake baker would venture in on a day like this. There was this thaw today and so everyone went out. Everyone else is buying necessities and there I am with my gold and purple sugar. When I got home I auditioned this and that recipe and eventually decided on this King Cake. Most recipes had fillings but the fillings came in only in the 1980s. Fie on the 1980s, fie! I am making the simple cake that was traditional before that, really a kind of rich brioche. Maybe when I get bolder I will make the kind of cake that Abigail Adams sampled when she was in France. That was in February 1785. Mozart was 32. When I am not thinking in terms of Leonard Pennario I am thinking in terms of Mozart. Speaking of that I began reading more closely what Abigail Adams had written. I am going to reprint it, what the heck. It is not as if the other Web log owns it. You must know that the religion of this country requires [an] abundance of feasting and fasting, and each person has his particular saint, as well as each calling and occupation. Tomorrow is to be celebrated le jour des rois [The Day of Kings]. The day before this feast, it is customary to make a large paste pie [the French King Cake is still made of puff pastry, and stuffed with almond marzipan], into which one bean is put. Each person cuts his slice, and the one who is so lucky as to obtain the bean is dubbed king or queen. Accordingly, today, when I went in to dinner, I found one upon our table. Your cousin Nabby began by taking the first slice; but alas! poor girl, no bean and no queen. In the next place, your cousin John seconded her by taking a larger cut, and as cautious as cousin T____ when he inspects merchandise, bisected his paste with mathematical circumspection; but to him it pertained not. By this time I was ready for my part; but first I declared that I had no cravings for royalty. I accordingly separated my piece with much firmness, nowise disappointed that it fell not to me. Your uncle, who was all this time picking his chicken bone, saw us divert ourselves without saying anything. But presently he seized the remaining half, and to crumbs went the poor paste, cut here and slash there; when behold the bean! “And thus,” said he “are kingdoms obtained!” But the servant who stood by and saw the havoc, declared solemnly that he could not retain the title, as the laws decreed it to chance, and not to force. .... were so much fun? The way Abigail's daughter is Nabby. That must be a little Abigail. I like how she and John Adams apparently named their kids after themselves. Also I love that 18th century fashion -- probably older than the 18th century -- of the diminutive starting with "n." It was German as well as English. Mozart's sister was called Nannerl, a pet form of Anna. We still have this sort of thing today with Nelly, short for Ellen, and Nan and Nancy for Ann. I always liked that name Nancy. It is so 1700s. "Paste" means dough, or cake -- as in pasta. I also read more carefully what happened with the King Cake the Adams family encountered in France. 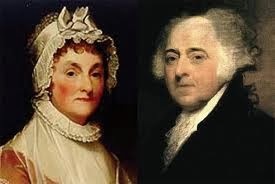 Nobody got the bean that would crown you king or queen -- Abigail had such a charming way of telling the story -- and so John Adams tears the remaining cake apart until he finds it. "Thus," he cries, "are kingdoms obtained!" I could imagine Howard making that joke! Anyway, that story made me smile. OK, so I separated six eggs and softened a stick of butter and measured out four and a half cups of flour, etc., etc., and put the dough into the bread machine and crossed my fingers. 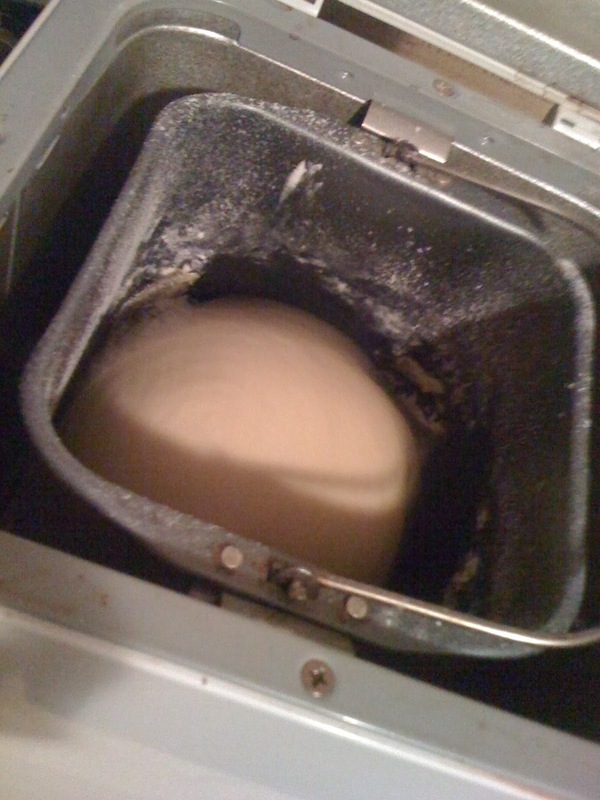 It mixed the dough OK. You beautiful bread machine! Soon the machine's work will be done and it will be my turn. 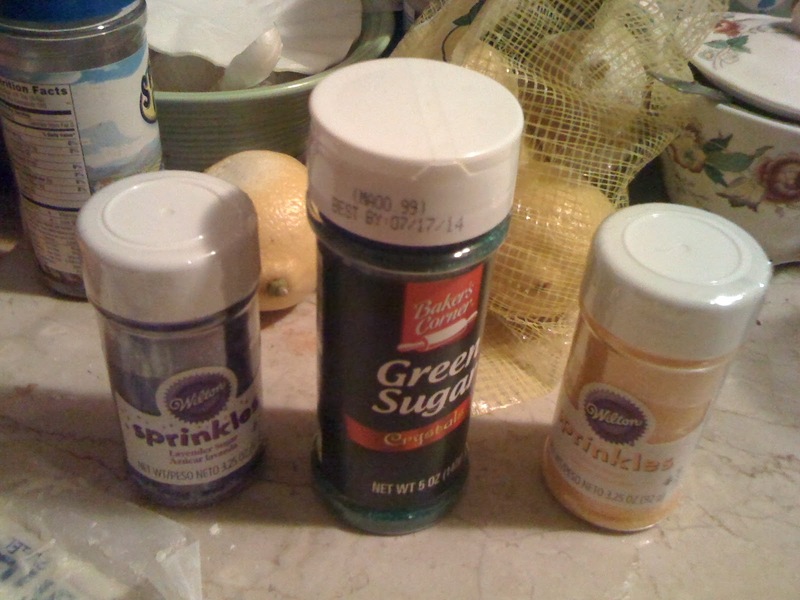 Here are my three sugars awaiting the Three Kings cake.